As we move towards the new year, there are a few things that you want to have in order. One of those areas is your finances. 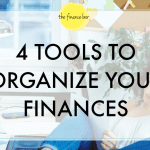 Getting organized provides us with a clear path to better understand our time management, where our important documents are stored, and how to make room for transforming where we currently are financially compared to where we desire to be. Having our finances organized also reduces the time it takes for you to do a quick weekly review. Here are a few tips to get you started. 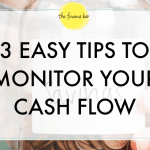 Start by pulling out your budget and realigning yourself with what you had set for the month. Were you clear on your expenses and flow of income? Take a look back at the most recent budget you completed, pull your bank statement from the previous month, and measure your actual spending against the anticipated numbers that were plugged into your spending plan (budget). How on target were you? If you’re having challenges getting closer to factual numbers, make an attempt to track your spending over the next 90 days. As a reminder, don’t forget your non-monthly expenses (quarterly insurance, home owners dues, etc.) these are typically the expenses that can throw off a budget. A great rule of thumb for this is to create a savings bucket for all annual expenses. Determine the total amount needed and work towards automating a specific amount of money in this account each month. Once this set of expenses are due, you’ll be fully prepared. Create a DIY finance toolkit to keep all of your bills and other important financial documents in one location. Invest in a tote box, hanging file folders and manila folders, then work towards neatly organizing your records by titles (financial accounts, debt obligations, insurance documents, income sources, etc.). Be sure to update your toolkit quarterly or as necessary. This may be a challenge if you find yourself frequently playing catch up with bills. One of the greatest financial habits that you can possess is by simply paying your bills on time or when you receive them in the mail. This will save you the from the headache of not remembering if you paid a bill or risking the chances of throwing your budget off the tracks. 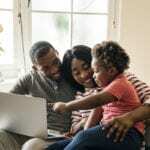 Putting money aside for unexpected moments, vacations, a new wardrobe, or investing sounds appealing. However, doing it effectively and consistently can present it’s challenges. Write down the money buckets that you value the most. Money buckets are considered as holding areas in which you will dump money to accomplish your financial goals. Once you have your buckets identified, automate savings that flow into each of these once a month or perhaps per pay period. You’ll be amazed at what you can accomplish when you commit to a solid savings plan. 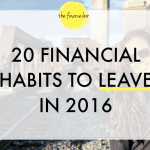 What are you doing to organize your finances for the coming year?